In New York, you don’t have to look long and hard to find an eatery. 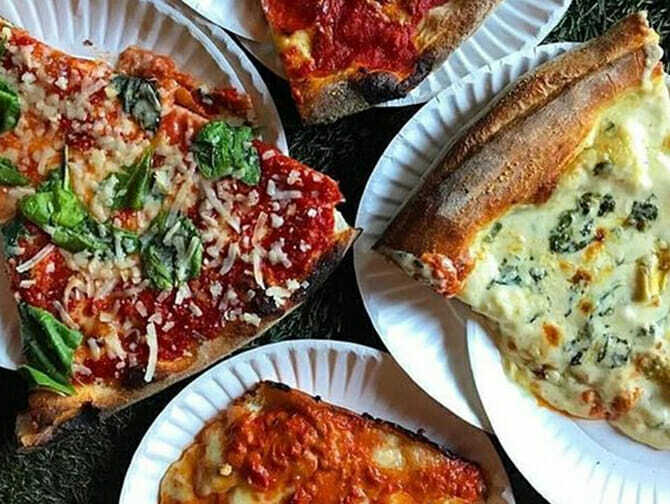 But this is even better: a real New Yorker will show you the best spots and let you taste their favourites as well! on the West Village food tour in New York you walk through picturesque West Village, a favourite of artists and celebrities. You’ll take a leisurely 2.5 mile stroll, along six different neighbourhood eateries. Your guide will tell you all about them. The tour starts at Bleecker Street, one of my favourite streets in New York, with its cosy atmosphere and its many nice eateries. 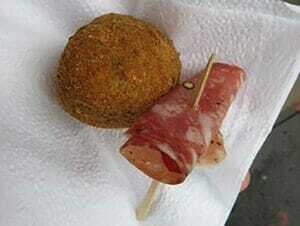 You’ll start sampling straight away, with homemade soppressata and arancini made by Faicco’s Italian Specialities. The guide will then take you through hidden alleys and along New York’s famous brownstone houses and tells you all about the buildings and places that you pass. You may even recognise Monica’s house from Friends! Erics Tip: You’ll eat so much during this tour, there’s no need to have lunch afterwards. Even at night, I still wasn’t hungry. Don’t book a restaurant for dinner just to be sure!